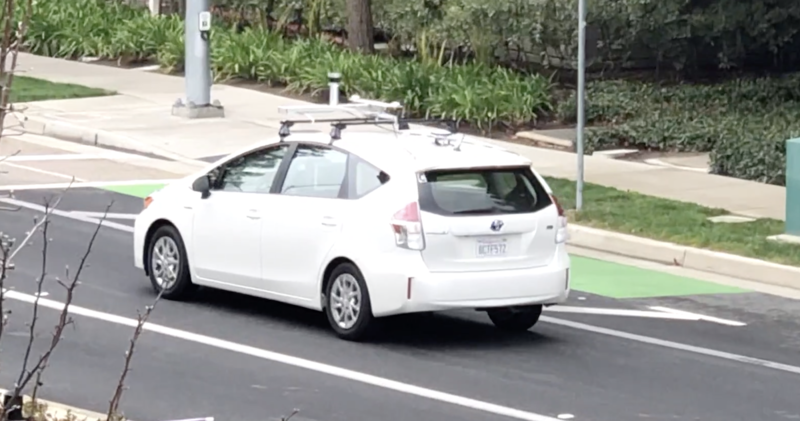 This unidentified Toyota Prius with a LiDAR-System on the roof was spotted on March 20th, 2019 at the intersection Seely Avenue and River Oaks Parkway in San Jose. Any hints which manufacturer that is are highly appreciated. I suspect that this may be a DeepMap-mapping vehicle.